The Texas Rangers will play their last season at Globe Life Park, and for many fans there's a lot of mixed feelings on the new stadium. For some, there's just something about sitting in the sweltering heat enjoying a hotdog, beer and baseball, and for others (like me) they're looking forward to finally enjoying a game in the AC year-round. 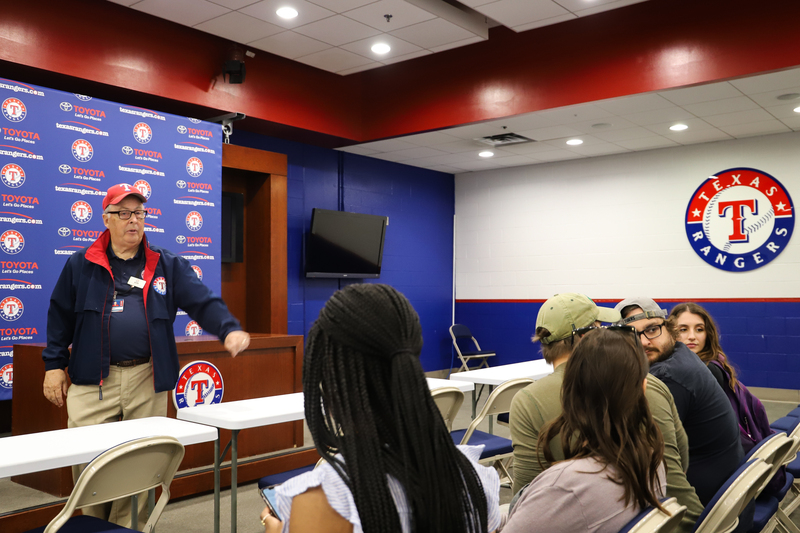 We recently took a tour of the stadium and walked down memory lane, reminiscing about everything we'll miss at Globe Life Park and learned about what fans can look forward to this season. If you've never taken a behind-the-scenes tour of the stadium, I highly recommend it. 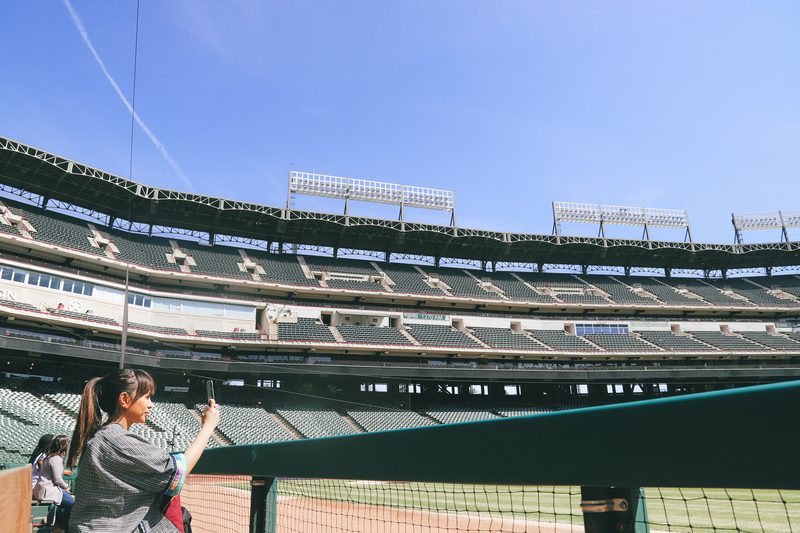 You'll get to sit in the press box, get a look inside the luxury suites and media room, walk down the tunnel and onto the dugout – seeing plenty of memorabilia along the way and of course tons of opportunities for photos. It's a pretty nostalgic experience walking through history, and the tour guide points out small tidbits you wouldn't normally know, which makes it even sweeter. The Rangers season is already underway, and there will be a number of exciting new things, surprises and giveaways you won't want to miss! During home games you can score one of the commemorative bobbleheads of the team's best players (free for the first 15,000 fans!) as well as free commemorative T-shirts on April 13, June 2 and Sept. 29. There will also be post-game fireworks shows and concerts on select nights, including performances by Paul McCartney on June 14 and Billy Joel on Oct. 12 – the final show at Globe Life Park. For the foodies – there are new concession items on the menu this year including, Right Field Bacon Bombs, Belgian Waffle Sundae, Beyond Vegan Burger and more. Check out the full list of fun foods here. Pro tip: Fans can bring in their own food and drinks (non-alcoholic) to the stadium, so you can save money on dining and use the extra funds at the gift shop. 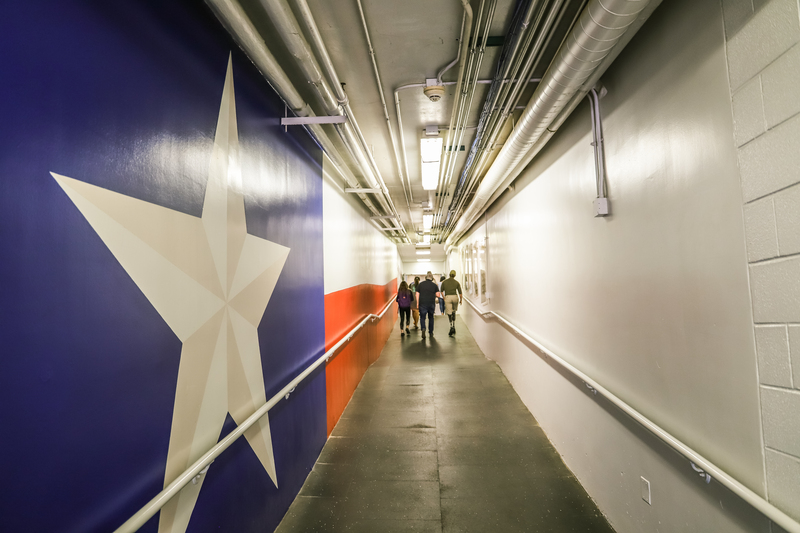 Although we're nearing the end of Globe Life Park, things won't be that much different. The stadium name will essentially stay the same, (it will be renamed to Globe Life Field) and it will be adjacent to the old stadium and the new Texas Live! so you can go for pre or post-game drinks. But you've got tons of home games left in the season before you have to say goodbye. Get your tickets today and Go Rangers!